Myth #1: My customers can find me in the yellow pages. People are now turning to the Internet MORE OFTEN than picking up their local phone book to find the info they need about a local business. Last year (2011) the Local Search Association released their data showing that the Web is the new leader over print in local business searches. In addition, with the ever-increasing popularity of mobile devices (smart phones & tablets) consumers are able to find what they are looking for anywhere with only a few touches, rather than lugging around that 18 lb. yellow book! Myth #2: I already have enough business. Yes, this actually does happen! A successful salon owner I know, who’s been in the same spot for 15 years, says she doesn’t need to advertise! Though, often at the beginning of her work week, all the white space in her appointment book makes her feel a little un-easy, by the end of the week it’s completed filled up and she’s exhausted and ready for her day off. Now, for the sake of sticking to this article’s topic, I’ll avoid my comments to her about hiring and expansion or possibly raising her prices (Myself included, I’m sure all small-biz owners out there would LOVE to have her problem, right? ), but there are other uses for a website beyond advertising. A website is not only your opportunity to describe who you are and what you do, but it can help you streamline your business. Using my salon friend as an example, a website can give her customers information they need about her location, services and prices, as well as allowing them to book their appointments Online, thus reducing the amount of time needed to “man the phone”. Why not let your website work for you? Myth # 3: I can’t afford it. 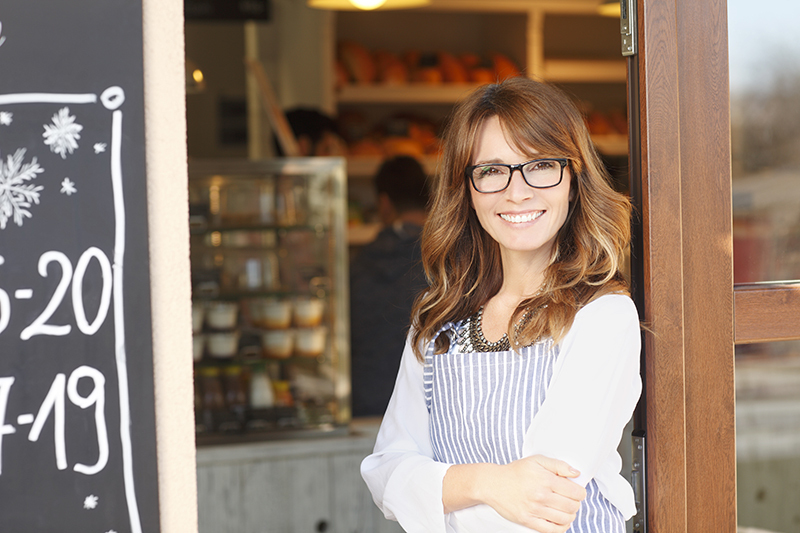 Today’s economy can be challenging and many small business owners are struggling just to keep their heads above water. They are worried they can’t afford the added expense of a professionally designed website. If this sounds like you, there are many things that can be done to develop a web presence for your business on a tight budget. If you are at all “computer savvy”, there are many great user-friendly website builder tools out there that allow you to plug your business info into one of their pre-designed templates. There are also several web hosting companies out there that offer budget pricing for limited space. If you get stuck or have questions, there are some wonderful Online tutorials and forums where you can ask just about anything! OR… you can call Eyesbryte Designs to help find the least expensive and most effective way to develop the website you need! With the number of people turning to their computers rather than the phone book there is no question that a website is an invaluable and necessary tool that can get important business information out and can improve business performance. Let Eyesbryte Designs work with you to identify the best Internet strategy for your business… at a price within your budget.